The Legal Aid Society of the District of Columbia is pleased to announce that we will be honoring four Hogan Lovells associates – Emily Goldman, Lance Murashige, Susan Musser, and Kaitlin Welborn – with the Klepper Prize for Volunteer Excellence next month at our 30th Annual Servant of Justice Awards Dinner on April 25th. 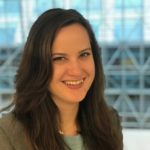 The Hogan Lovells team, which also includes Partner Peter Bisio and Paralegal Alicia Balthazar, has been co-counsel with Legal Aid and the National Center for Law & Economic Justice (NCLEJ) in our class-action lawsuit alleging systemic problems with the District’s food stamps program since 2017. The suit alleges that the District fails to timely process initial and recertification applications, and to provide certain statutorily required notices, resulting in the termination, delay, or suspension of food stamps benefits. As a result of the District’s mismanagement, thousands of DC residents have gone hungry. From the beginning, the Hogan Lovells team has gone above and beyond, distinguishing themselves with their work in the field alongside Legal Aid staff to help build the factual underpinning for the lawsuit. The Hogan Lovells team joined Legal Aid staff many early mornings at 6:30 am to speak with people in line at DC Department of Human Services (DHS) service centers about problems they were experiencing with their food stamps. All told, the Hogan Lovells team has done more than 50 visits to DHS service centers. The team has also done exemplary legal research and writing on all aspects of the case, playing a critical role in drafting the motions for class certification and preliminary injunction as well as the replies to the District’s opposition to these motions. They also made significant contributions to the development of the theory of the case, in discovery and depositions, and at oral argument before the court. 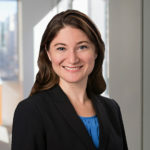 Emily Goldman is a Senior Associate in Hogan Lovells’ Litigation practice group, with a focus on the life sciences, automotive, and education sectors. Emily’s pro bono work includes successfully overturning state-wide voter suppression laws in Georgia; fighting to improve death row conditions in South Carolina; and representing a minor in her application for asylum. Prior to joining Hogan Lovells, she clerked on the U.S. District Court for Puerto Rico. 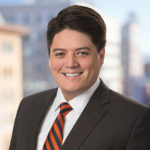 Lance Murashige is a Senior Associate in Hogan Lovells’ Litigation practice group, where he focuses on cyber attack and data breach response, health insurance coverage disputes, and products liability class actions. Lance successfully represented a class of homeless families who sued to enforce their rights to appropriate shelter under DC law. In 2016, the Washington Legal Clinic for the Homeless awarded Lance with the Lois G. Williams Extraordinary Service Award for his continuing work on behalf of DC’s homeless population. Susan Musser is a Senior Associate in Hogan Lovells’ Regulatory practice group, where she represents both international and domestic clients under investigation for alleged cartel conduct. 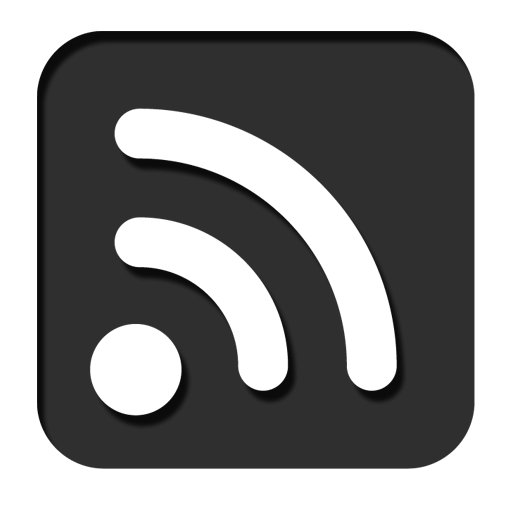 She maintains a robust pro bono practice representing survivors of domestic violence in obtaining protective orders. Prior to joining Hogan Lovells, she was a trial attorney in the Antitrust Division of the U.S. Department of Justice. 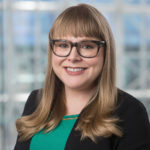 Kaitlin Welborn is an Associate in Hogan Lovells’ Litigation practice group, where she focuses on complex civil litigation. Kaitlin’s significant pro bono practice ranges from individual matters, including obtaining asylum for detained immigrants, to drafting amicus briefs submitted to the U.S. Supreme Court on issues like partisan gerrymandering and juror bias. Prior to joining Hogan Lovells, she clerked on the U.S. Court of Appeals for the Eleventh Circuit. This marks the 12th year that Legal Aid has awarded the Klepper Prize for Volunteer Excellence, which was endowed by Marty and Arlene Klepper to recognize volunteers early in their career who have shown extraordinary commitment to making justice real for Legal Aid’s clients. Individual dinner tickets, as well as full tables and sponsorships, are still available! Click here to buy tickets or reach out to Rob Pergament, Director of Development, at rpergament@legalaiddc.org for information about tables and sponsorships.